The industry and trade ministry is drafting an action plan for lowering logistics costs to touch 18 percent of the country's gross domestic product (GDP) by 2020. The costs for logistics currently are about 20 to 25 percent of the GDP, compared with the average rates of seven to 10 percent in developed countries. Reducing logistics costs would help prevent wastage of resources and enhance the competitiveness of the Vietnamese economy amid the rapid international integration, the ministry said. 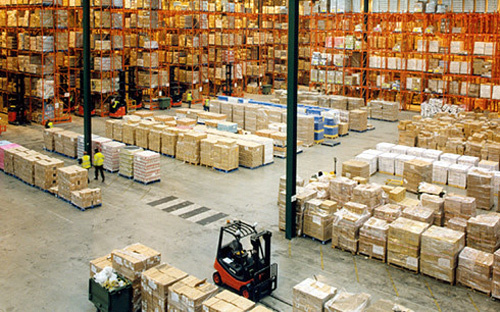 Under the prime minister's draft action plan for enhancing competitiveness and developing logistics services, which was being discussed for more ideas, the ministry said logistics would be developed as a key service industry of Viet Nam that could meet domestic demand and extend its reach to the regional and global markets. The logistics services industry will contribute five percent of the GDP and have a growth rate of 15 to 20 percent per year by 2020, according to the draft. Improving logistics infrastructure and the capacity of logistics firms was essential, the ministry said. The action plan has been developed even as local logistics firms are struggling to compete with foreign rivals. Multinational logistics firms hold a significant market share in providing logistics services in Viet Nam. Do Xuan Quang, president of the Viet Nam Logistics Association, said at a recent conference that foreign marine transport firms accounted for just three to four per cent of the logistics firms operating in Viet Nam, but handled more than 80 per cent of the country's import and export volumes. Foreign firms are dominant in routes leading to the American and European markets. Meanwhile, more than 70 percent of the existing 1,300 domestic firms are of small and medium size, with average capital of about VND7 billion (US$320,000), making it hard for them to compete with multinational companies. They mainly provide services in the local or nearby markets. In order to promote the development of the logistics industry, the ministry proposed in the draft that the legal framework should be improved, coupled with enhanced infrastructure connectivity to transform Viet Nam into a logistics hub of the region. In addition, firms must improve their capacity and competitiveness, while paying attention to developing human resources for the logistics sector and applying technologies in operation./.